Unfortunately, no video today. I got in around 730am, did my pre-flight checks and got my weather briefing. I knew the clouds were too low, but thought that by the time I was ‘ready’ to go, they would have dissipated a bit. I heard all week how beautiful Saturday was supposed to be, with mostly sunny skies and the temp hovering in the upper 70’s, lower 80’s. I will take “B.S.” for $200, Trebek. I awoke to cloudy skies with a ceiling of about 500′, cool and a bit windy. The wind was fine, but the clouds were just too low. They needed to be a minimum of about 1200′ for us to go up and didn’t really become ‘fly-able’ until around noon. On a positive note, Freeway Airport had a BBQ this evening. We brought some beer, ate some hot dogs and just hung out. I was able to introduce my family to my flight instructor and others at the airport. My daughter absolutely LOVES airplanes. She kept chasing the Civil Air Patrol aircraft around the flight line. 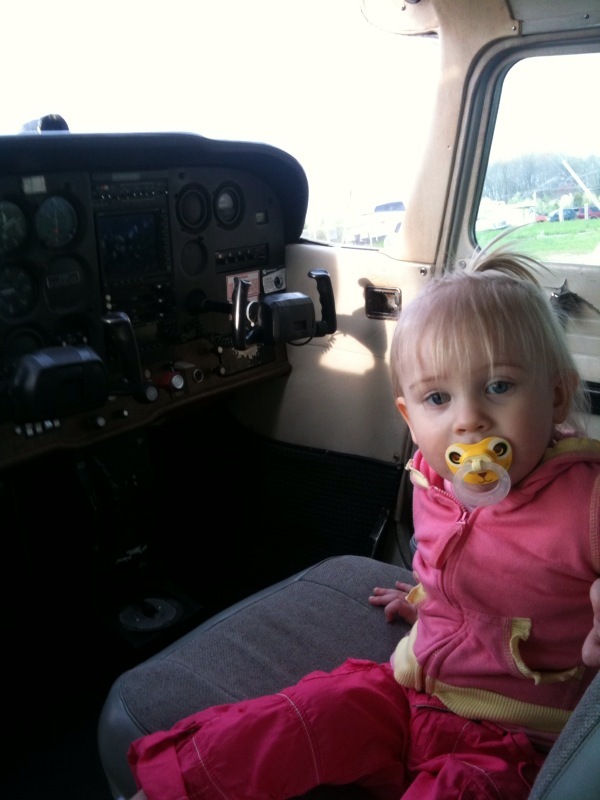 I was able to get her into the cockpit of one of the Cessna 172’s, which she loved. So, no dice this weekend. At least we were able to have a nice evening hanging out at the airport watching planes come and go, enjoy a dog and beer. Maybe next weekend. Happy Easter!